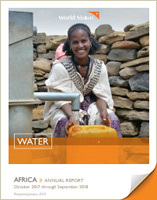 God has accomplished amazing things through the Africa Water, Sanitation, and Hygiene (WASH) Program! Over the last three years, we have reached more than 8.4 million people with clean water, 5.9 million with improved sanitation, and 9.45 million with hygiene education. 2.7 million received access to clean drinking water during fiscal year 2018. 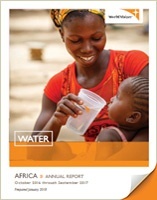 2.6 million people in Africa were provided with access to clean drinking water in fiscal year 2017. In addition to providing clean water, the program reached 2.1 million sanitation beneficiaries and 3.3 million hygiene beneficiaries during the year. 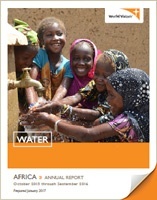 Let us rejoice together in thanking God for what He has accomplished through the Africa WASH Program.